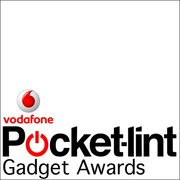 The Pocket-lint awards are the longest running gadget awards in the UK (that we know of) with 12 categories in total, including the coveted Best Product of the Year 2008. The awards, voted by a panel of leading gadget journalists, including the staff from the Pocket-lint team, will decide the real must-have gadgets of the year, rather than those simply deemed cool or anticipated, and be the definitive guide for consumers looking to buy gifts this Christmas. Winners will be announced at an Awards evening in London on Thursday 6 November. It's great to see 2 Creative products in, they are strong in UK and Europe.